It's always a common thing for the average person to ignore the importance of something - like printing until we have to face the reality of living without printing. Printing from labeling grocery items, books, newspapers, car number plates/registration, including the credentials on your qualifications to name just a few. Let’s face it, buying groceries can be anything from extremely boring to very frustrating – especially when shoppers are on the run; on the way to fetching the kids from school or on route home from work after a busy day. Now imagine if none of the food items were labeled. 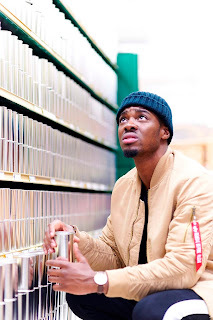 In collaboration with Printing SA, catch ETV’s “The Morning Show” presenter Tino Chinyani (between 6am & 8am on Tuesday, July 31st) navigate the supermarket aisles and try to buy something when confronted with shelves of identical silver unlabeled tins and trying to tell the baked beans from the strawberry jam. Printing SA will be showcasing the importance of the printing, labelling and packaging industry in a humorous, yet real life setting. Catch ETV's The Morning Show weekdays from 6am to 8am.